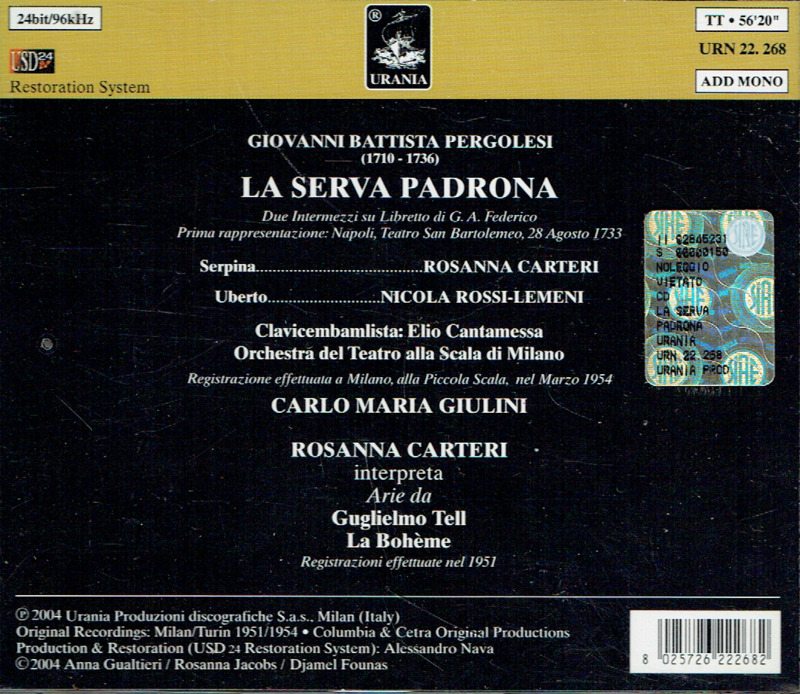 “Rosanna Carteri was born in Verona but was raised in Padua. She studied with Cusinati and started singing in concert at the age of twelve. She won a RAI singing contest in 1948 which led to her operatic début at the Baths of Caracalla in Rome as Elsa in LOHENGRIN in 1949, aged only 19. 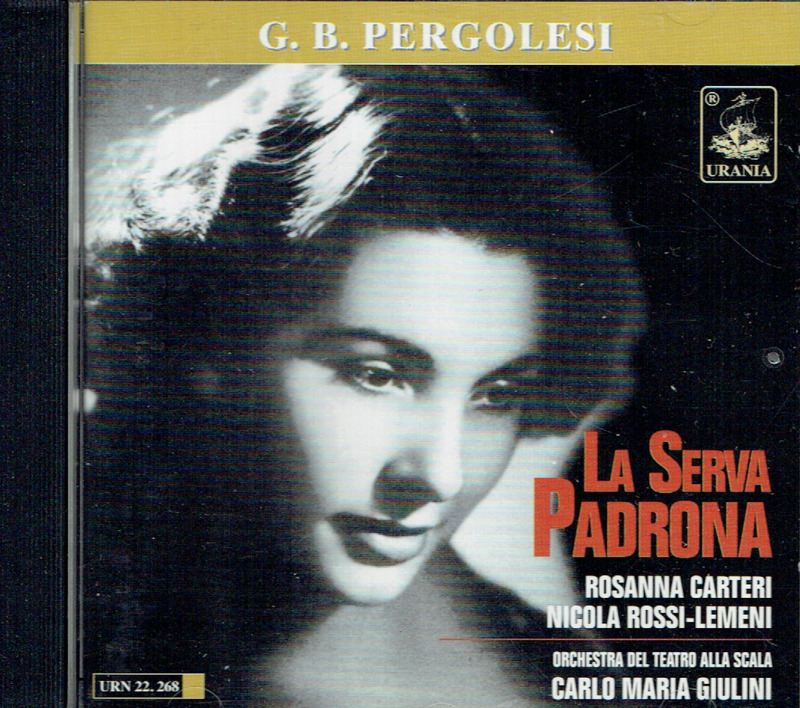 She made her La Scala début in 1951. 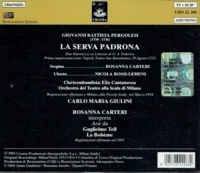 Other débuts were at the Salzburg Festival as Desdemona in 1952 under the direction of Wilhelm Furtwängler, San Francisco as Mimi in 1954, the Lyric Opera of Chicago as Marguerite in FAUST in 1955, the Arena di Verona as Mimi in 1958, Covent Garden as Tosca in 1960, Opéra de Paris in 1961 as Violetta.